For students completing 4th and 5th grades. 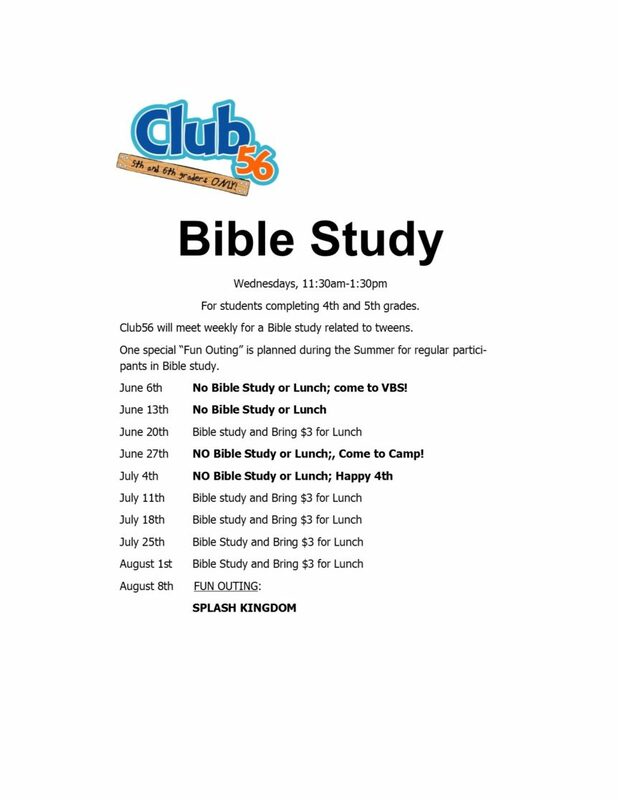 Club56 will meet weekly for a Bible study related to tweens. One special “Fun Outing” is planned during the Summer for regular participants in Bible study. June 27th – NO Bible Study or Lunch;, Come to Camp!